During each of my three pregnancies, I read all the books I could find on natural birth and alternatives to the medical model of childbirth. These are the ones that helped me the most. I knew I wanted a medication-free natural birth from the time I was a young girl. I realize that's weird, but it's true. I even used to be a bit of a bully about it, thinking everybody needed to make the same choices I have. Luckily I grew out of that unfortunate stage (give me a break, I was only 22). Whether or not we want to believe it, the people we choose to assist us have a lot of power over the outcome of our birth. And it is most decidedly not a 'given' that all health care practitioners view your desired outcomes as relevant, or even important. But if you are interested in those same choices, here are four of the books that helped empower me to have two natural births in a birthing center (one of them in the water), and one homebirth (in a "birthing tub" which was really a horse trough but whatever). While of course unforeseen circumstances can come up, obliterating our carefully constructed birth plans, the first step to a natural birth is preparing yourself mentally, physically and emotionally. But above all (and get ready for some bluntness): If you don't have the information, if you don't know which questions to ask, there is no way for you to weed out the health care practitioners who aren't going to support your decisions. Whether or not we want to believe it, the people we choose to assist us have a lot of power over the outcome of our birth. And it is most decidedly not a "given" that all health care practitioners view your desired outcomes as relevant, or even important. This is the book I recommend to all my friends when they become pregnant for the first time. Though biased against the medical model of childbirth (doctor-managed, induction, pain medication, increased intervention, etc. ), Goer provides the pros and cons for different procedures (induction, pain meds, etc. ), and cites statistics to back her claims. The bias doesn't bother me because all authors are biased. Goer is just pretty explicit about it, which makes me trust her more. Though some of the data she uses is outdated, this book will give you a quick, clear picture of the costs and benefits to your choices (for example, having an epidural will provide pain relief but increases your risk of a cesarean). One of the problems I've found is that people are "sold" certain interventions by their doctors without any knowledge of the drawbacks or risks of those choices. In short, this book will educate you quickly on the types of questions you need to ask your providers to assess their support of natural birth. Of course, a book by the legendary Ina May had to be on this list. Ina May Gaskin, if you haven't heard of her, is the pioneer of modern midwifery. She is quite possibly the reason I was able to birth my third baby at home and have my insurance cover part of it (emphasis on the word "part"). But beyond all that, this book should be read for one reason above all else: It repeatedly paints a picture of active birth, of woman-centered birth, of birth that is not managed by anybody beyond the woman (unless help is needed of course). Admittedly, some of this stuff is pretty far out (um, women having orgasms during birth, yeah OK fine, but let's not get excited about the odds of that happening), but with so much media painting childbirth as a passive act where the mother lies there and has stuff done to her, Ina May paints the birthing woman at the center of the picture, as the trusted, capable element. And this, in my opinion, is how it should be, and a key understanding if you're going to trust yourself and your body to birth your baby. 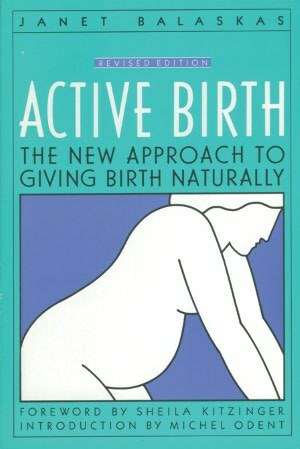 This book explains why a woman needs to move during childbirth, highlighting the fact that "in an active birth, a mother moves about freely, finds comfortable positions for labor and delivery, and seldom needs drugs or obstetrical interventions…" Balaskas "teaches mothers to develop all of their bodily resources for giving birth, to follow their own instincts, and to take full control of their childbirth experience." Need I say more? I didn't think so. This book gives you direct, clear suggestions (with pictures) for how to move your body to kick up stalled labor or naturally manage labor pain (e.g. leaning forward against a wall for back labor, or swaying). I have tried many of the suggestions Balaskas recommends, and I know it helped me to have a whole repertoire of options other than pain medications. Barbara Harper, formerly an obstetric and neonatal nurse, is a midwife, doula, childbirth educator and social reform advocate. She is an expert on water birth and childbirth in general, and teaches in hospitals, universities and in communities. If you've ever wondered what all the hype is about when it comes to water birth, read this book. It solidified in my mind that I wanted my babies to enjoy a gentle entrance into the world. 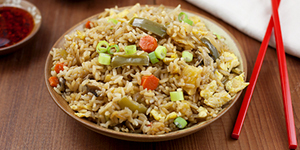 This book is also well-researched and cites numerous well-known medical journals. ^ Though this is a great place to start, if you are interested in natural birth, I encourage you to go to a book store and start reading. 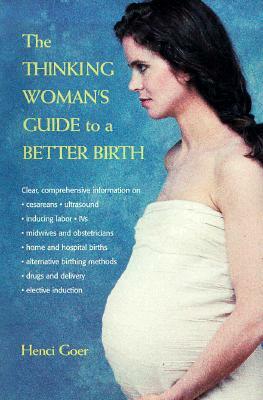 Grab the books that appeal to you, and talk to lots of women about their births (medical and non-medical). Find the books that resonate with you and your personality so you can feel stronger, more knowledgeable and more confident as you work toward your natural birth.